item 6 NEAR MINT -Apple iPad Pro 12.9 Screen 256GB Wi-Fi + unlocked- ACCESSORY BUNDLE!! -NEAR MINT -Apple iPad Pro 12.9 Screen 256GB Wi-Fi + unlocked- ACCESSORY BUNDLE!! item 7 NEAR PERFECT -Apple iPad Pro 12.9 Screen 256GB unlocked- w/ ACCESSORY BUNDLE!!! -NEAR PERFECT -Apple iPad Pro 12.9 Screen 256GB unlocked- w/ ACCESSORY BUNDLE!!! Portable and simple to use, Apple’s iPad Pro is a power-packed tablet, which impresses with an efficient operation and stylish exterior. 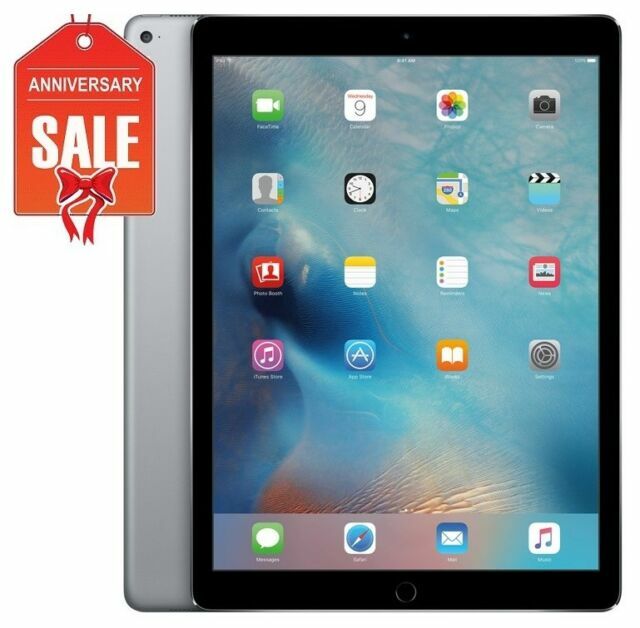 This space gray tablet offers multiple connection options and its fast 2.16 GHz processor makes apps run smoothly. The large 12.9-inch Retina display with a resolution of 2732 x 2048 pixels makes images and video appear bright and crisp with great contrast, while its responsiveness opens up a variety of creative possibilities. This Apple iPad Pro comes loaded with 256GB of storage for all your data. The device is network unlocked and features Wi-Fi + Cellular connectivity for fast and simple Internet browsing. This device is compatible with Sprint, AT&T, T-Mobile, Verizon, Boost Mobile, Straight Talk, U.S. Cellular Carriers. Bought iPad as a Christmas gift so I don’t know how well it works. Still factory sealed so should be perfect in every way.